This study aimed at identifying the effect of applying artificial intelligence in shaping marketing strategies in the industrial companies listed in Amman stock market. The sample consisted of (65) marketing managers of the companies incorporated in the study. The study revealed the existence of an effect of applying artificial intelligence in shaping marketing strategies (cost leadership, differentiation, focus, alliance, diversification and direct marketing). 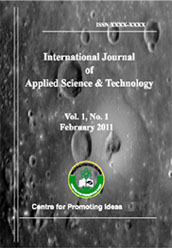 In the light of the results, the researchers offered a number of recommendations the most prominent of which are: Practicing better use of modern and developed technological programs based on artificial intelligence styles, connecting between the application of artificial intelligence styles and the development of marketing strategies in a way that fosters the attention to embrace developed new products and giving more care to the implementation of artificial intelligence styles.